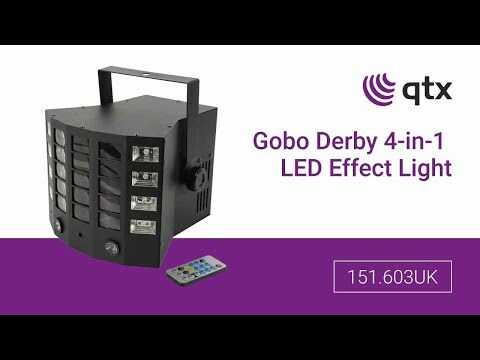 Multi-effect lighting unit based on an LED Derby effect with multi-beam gobo images, twin strobes, twin UV bars and a laser effect. Auto or sound activated effect sequences can be controlled via onboard settings, DMX512 or the supplied IR remote control. For space-saving and simplified setup, this unit offers 4 very different effects in a single convenient housing, producing an impressive light show from a single compact fixture. Strong, galvanised Black hook in straight version, suitable for lighting fixtures and projectors. Fits on poles up to 50mmØ.